IBTM Arabia, part of IBTM’s global portfolio of meetings and events industry trade shows, has announced that its 2019 event will take place at Jumeirah Etihad Towers in Abu Dhabi from March 25-27. The event’s exclusive one-to-one pod format mutually-matches Hosted Buyers and exhibitors using IBTM’s bespoke ‘matchmaking’ software, ensuring meetings take place between people with whom there is a great chance of doing business. IBTM Arabia - run in partnership with Abu Dhabi Department of Culture and Tourism - will bring together exhibitors from Egypt, Tunisia, Morocco, Turkey, Russia, central Asia, Georgia, Armenia and Cyprus, as well as the UAE and GCC. Exhibitors signed up to attend so far include Cyprus Convention Bureau, Galaxia Tours, Rotana Hostel and Resorts and United Nations Economic Commissions for Africa (UNECA). 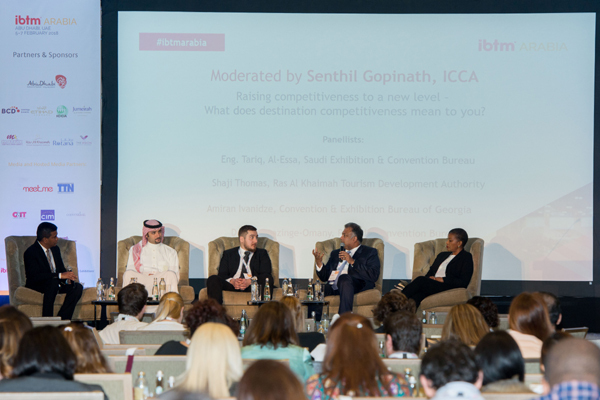 One of the highlights of IBTM Arabia is its strong focus on networking and cultural events. This includes a ‘Discovery Day’ in which all attendees can network in a relaxed setting to build relationships ahead of their formal business meetings, all whilst enjoying the sites and local culture of Abu Dhabi. The event’s well-known White Party gala dinner, sponsored by Rotana Hotels and Resorts, will also return in 2019.